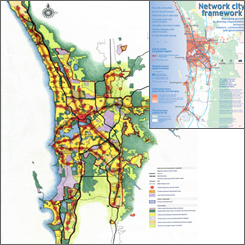 Regional structure planning for the Perth metropolitan area that integrates land use planning with the regional road and public transport network to encourage transit-orientated development and reduce car-dependency. 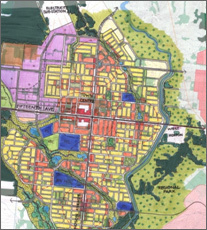 This regional structure planning exercise was undertaken with the Department for Planning and Infrastructure and forms the basis for the Western Australian State Government's Network City framework policy. 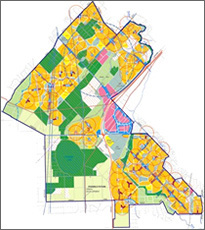 Regional structure planning undertaken with the Department for Planning and Infrastructure for part of the south-eastern corridor of the Perth metropolitan area. Regional structure planning for the south-western Sydney growth area undertaken as part of a team working for the NSW State Government's planning agency.